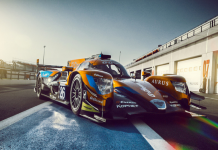 G-Drive Racing took today’s win with the #26 Oreca 07 making it two weekends with two race wins and three in a row for Jean Eric Vergne (JEV) who won the Formula-e race in Paris three weekends ago! 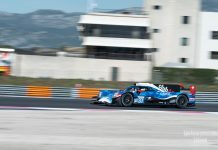 The #33 TDS Racing Oreca 07, which started the race at the back of the LMP2 pack after having Matthieu Vaxiviere’s qualifying times cancelled when tape found on the car in post-session scrutineering was deemed a technical infringement, took advantage of the multiple safety car periods to work back to the head of the pack and claim second place. 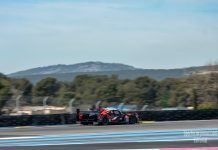 French team IDEC Sport completed an Oreca 07 clean sweep of the podium with Paul Loup Chatin, Paul Lafargue, and Memo Rojas bringing the #28 car home for third place. The Safety Car was called into action four times along with various FCY periods in what was certainly the most eventful of races. 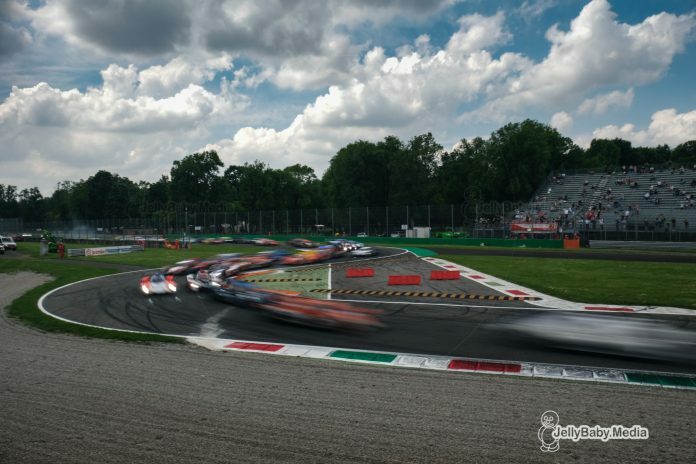 Somewhat unusually for Monza all of the pack made it through variante Retifillio unscathed, thanks no doubt to Race Director Eduardo Freitas mandating two warm-up laps to ensure that the cars breaks and tyres were up to temperature. However, soon after that the mayhem started. The #19 YMR Norma of David Dreux was hit on the first lap causing a rear puncture and damage to the legality panel that would plague the car for the rest of the race. Soon after the #39 Graff Racing Oreca hit the tyre wall at Lesmo 2 so hard it nearly launched over the top bringing out the Safety Car whilst the barriers and tyres were repaired. Luckily, Alexandre Cougnaud emerged from the wrecked car unscathed. 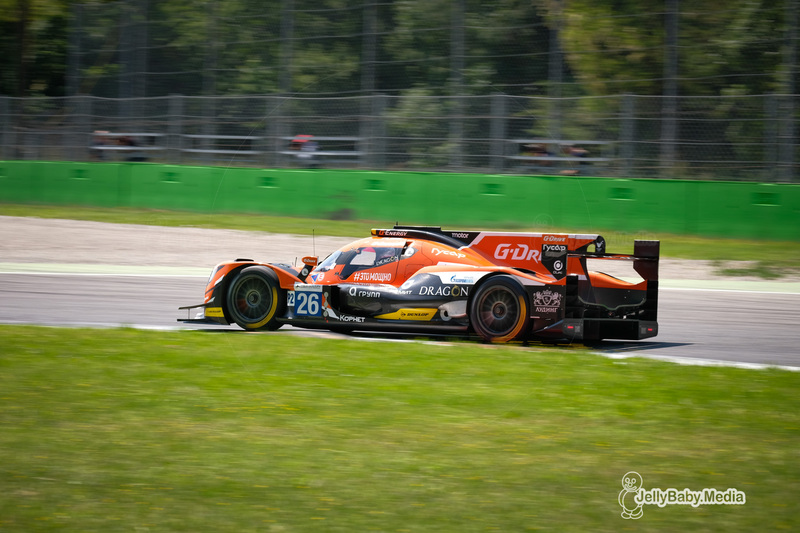 After the first hour’s ‘racing’ the #26 G-Drive had dropped back and the leading three cars were the #29 DUQUEINE ENGINEERING Oreca followed by the Dallaras of AVF BY ADRIÁN VALLÉS (#30) and the #47 of local team CETILAR VILLORBA CORSE. One lap later, with 1h 38 to go the race again went green, however Harisson Newey jumped the restart in the #31 Algrge Pro Rebellion Racing car earning himself a penalty. 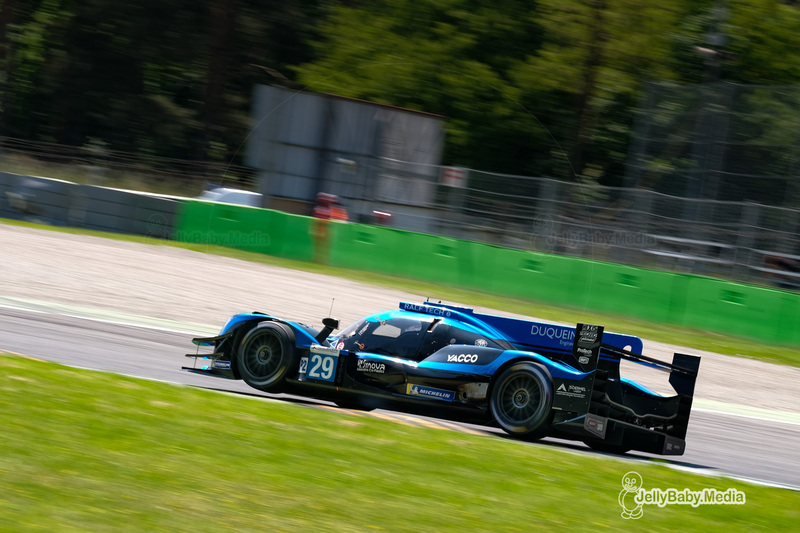 Phil Hanson in the #22 UA Ligier was putting up a great fight against Andrea Pizzitola in the #26 Oreca but eventually succumbed and handed the lead to the Italian two laps later. 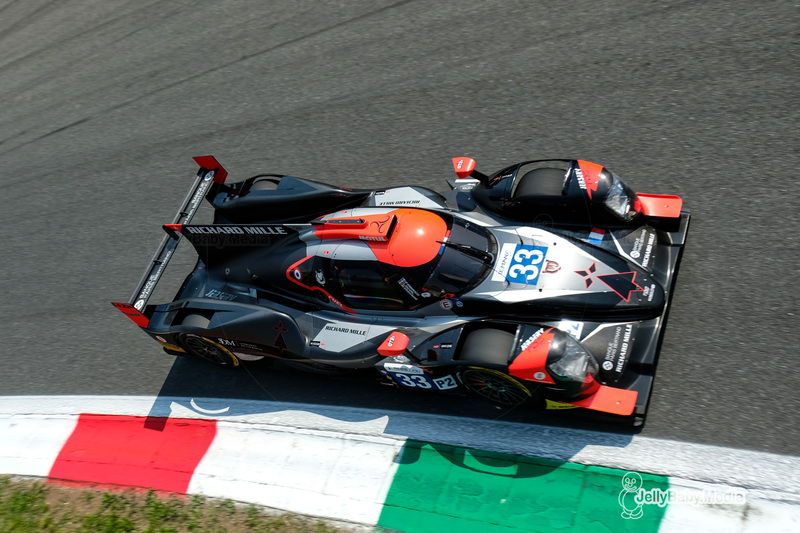 With only 8 minutes remaining, Falb suffered a rear puncture in the #2 LMP3 after being nerfed by the #27 IDEC Sport Ligier LMP2 handing the lead to van Berlo in the Eurointernational car. 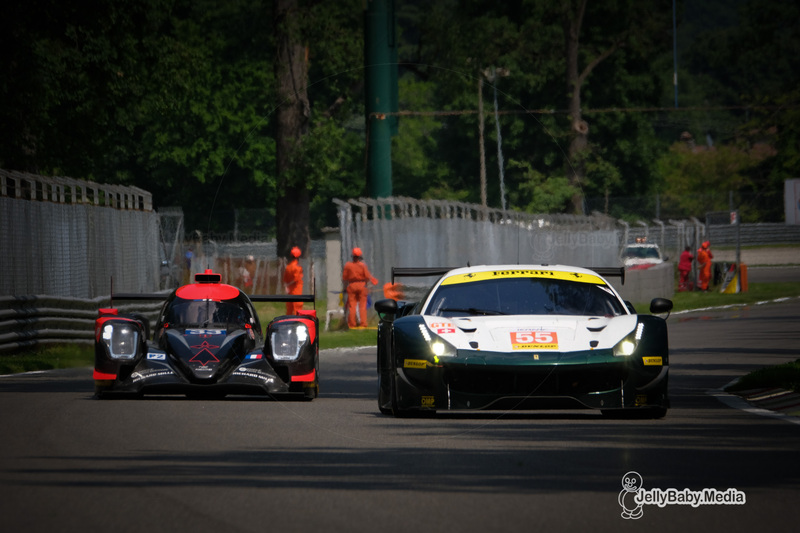 In the LMP3 category, the #11 Eurointernational Ligier JSP3 driven by Giorgio Mondini and Kay Van Berlo took first place, some four seconds ahead of the #6 360 Racing Ligier JSP3 driven by Terrence Woodward, Ross Kaiser (and James Swift if he’d have been fast enough to start the race!). 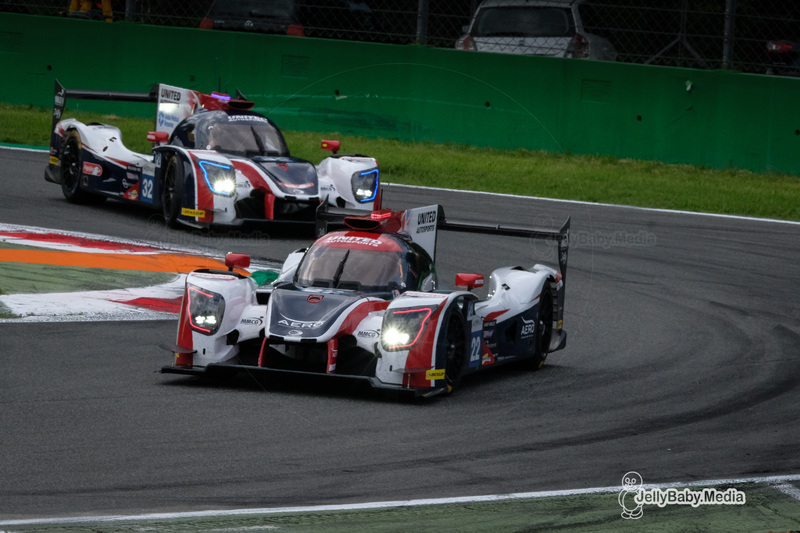 The final podium position in the LMP3 class went to the #3 United Autosports Ligier shared by Anthony Wells, Garret Grist and Matt Bell.